According to aftercollege.com, only 1 in 5 college graduates had a job waiting for them in 2015. Michael J. Russ is an international bestselling author, speaker, and career sales professional who views this statistic as a huge problem. 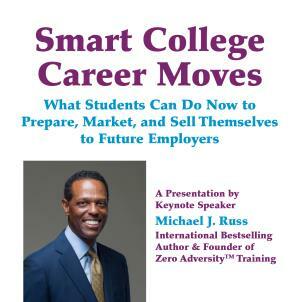 As part of basic college career planning, to help future college graduates increase their chances of securing fulfilling work, Russ has produced a presentation called, Smart College Career Moves: What You Can Do Now to Prepare, Market, and Sell Yourself to Future Employers. It’s vital that students see themselves as a product they will eventually have to persuade someone to buy, says Russ. This view helps students see how their choices and actions contribute to developing the non-academic skills they will need to successfully market and sell themselves in the future. According to Russ, confidently selling yourself as the best person for a job involves demonstrating how your features—personal attributes, non-academic skills, work experience, and knowledge—can deliver more benefits to an employer than competing candidates. This talk strategically focuses students on taking action to develop highly marketable features. Why you need to adopt a marketing mindset ASAP. Who am I? Understanding what makes you tick. I can do this! Harnessing the potential of your inner conversation. Can we talk? The value of having diverse form of communication. Oops! 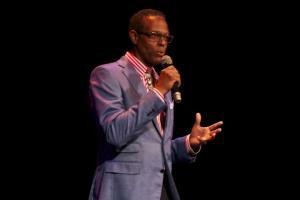 4 potential career killers and how to avoid them. I Spy! How to build confidence before an interview. Eureka! Uncovering your unique career path. Using failure to drive you to success. The 18 things that can make you a head-turning job candidate. 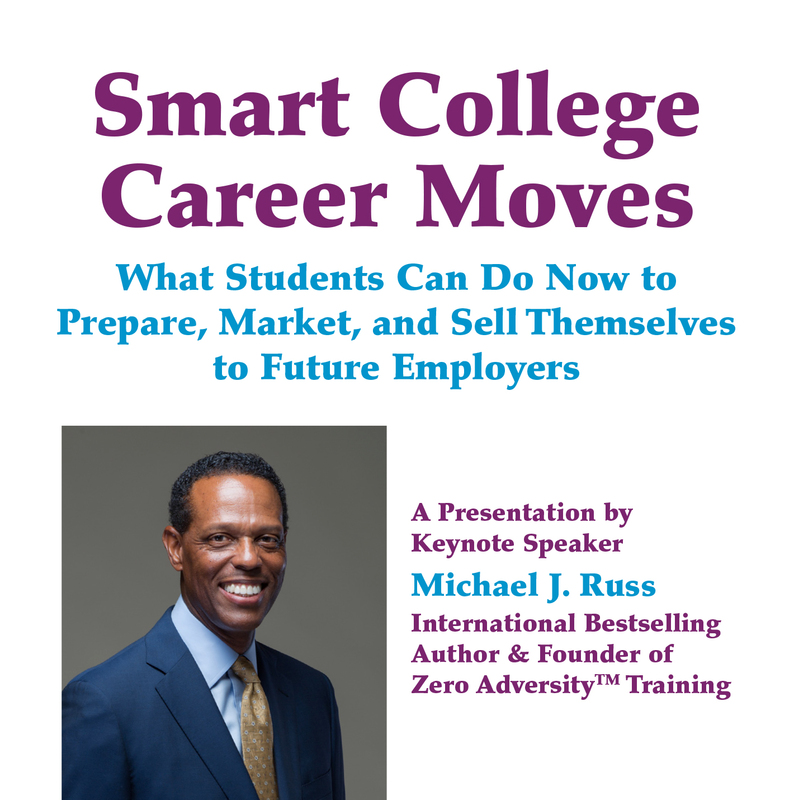 The talk is a live adaptation of Smart College Career Moves: What You Can Do Now to Make Yourself More Marketable Later, the eBook and audio CD Russ produced that shares the mindset, non-academic attributes, and skills students should develop to up their marketability to employers. Planting the seeds of sales and marketing in student’s minds early in their educational career is crucial to understanding how classes, activities, work experience, outside interests, social media usage, financial decisions, and volunteer efforts contribute to the likelihood of future employment success, Russ says. Their college/university campus a gold mine of resources, I just show them a different way of viewing and using these resources. After hearing Russ’ audio book, Christopher B., MA, a graduate of Florida State University said, Amazing information! I had no idea there were so many things I could do to make myself more attractive to an employer. Russ is taking his practical career tips directly to students and is currently contacting college and university campuses around the country. His talk resonates with Millennial’s, he says, because it delivers information that allows them to take control of their lives, discover their right livelihood, and create the work/life balance they seek. Plus, the information is immediately applicable for students who need to find a job to help pay for school. Russ can also expand his presentation into a training by adding two additional speakers from his Zero AdversityTM Training team: Erica Bailey with How to Craft a Positive Social Media Brand and Glenn Brooks with Developing Your Relational Intelligence.